Best Hot Chocolate... to be continued! So, Sarah Grace, I have tried searching out homemade hot chocolate recipes many time too, usually with disappointment. 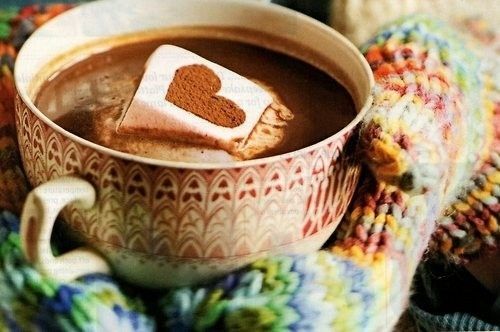 But, I do have several hot chocolate "tricks" up my selves which I am more than willing to share with you and anyone else willing to read them. So keep reading as I am launched into the second part of the quest for the perfect hot chocolate "The Journey to the Best Homemade Hot Chocolate" and as I share my unique hot chocolate tips & tricks. Think this is a neat idea? Jump on the band wagon and submit recipes (or recipe links) to good hot chocolate recipes you've found! So what's with the Hot Chocolate Craze? Why hot chocolate? What's so great about hot chocolate, that's a kids drink right? Why not search out a more universally like beverage such as coffee? I have three reasons. It all started on my eighth birthday. My family and I were at our usual hangout, Tim Hortons. My dad went up in line and as usual ran into a friend. This friend's name was Mr. Ed Baker. Some how it came up in conversation that it was my birthday. So Mr. Baker well at the cash bought me a container of hot chocolate powder. Ever since that first container I've been serving hot chocolate for my family, friends, and self (and loving it). Actually I think this was one of the building blocks that's lead me in the path I'm on right now, getting ready for a college course in Culinary Management. It happened to be the item I had a taste for at the time when it dawned on me that it was so widely offered. It could have been any other common item but it wasn't it was hot chocolate, that friend on a cold day. I'm not a hot chocolate fanatic but it's definitely a nice treat, what are your opinions on hot chocolate? Is there another beverage you prefer more? Tell me about it, just write your favs in the comments below or send me an email at lifeaftergluten@outlook.com.